We are working with Argent Related on five sites centred on a major transport hub that will result in around 1,000 new homes. 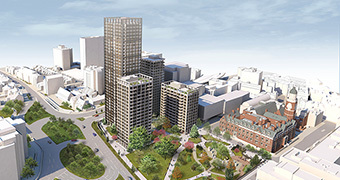 A cluster of four new residential high-rise for central Croydon in London's south, the tallest of which is 35 storeys. For a West London residential project, we rationalised an existing structural solution to aid the contractor in its efficient construction. Ten storey residential building on a tight site in East London, featuring cantilevers and set-backs in its structural design. 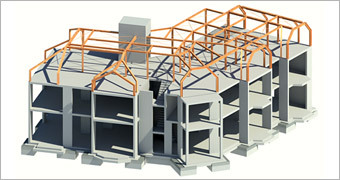 50 residential units in a four-storey block — we have improved the project's buildability and reduced construction costs. Two of the 16 buildings in the district, each with raking front facades, colourful rainscreen cladding and outsized diamond-shaped openings. 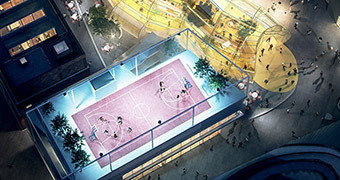 Three-level workshop and atelier building with a basketball court on the roof, located on the east side of Greenwich's new design district. A contemporary house on a rural lakeside site, consisting of a series of new buildings set around an existing thatched cottage. Scheme review and project delivery for a 162-key hotel — rationalising the structural and geotechnical solutions. We are part of the team led by David Chipperfield Architects selected to design a new music venue in Edinburgh. 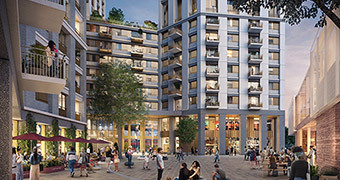 Purpose-built design district with 16 buildings by eight architects, all engineered by Whitby Wood. 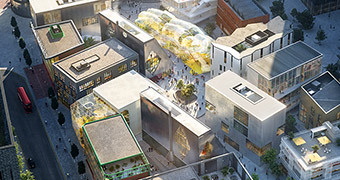 The structural concept, geotechnics and civil engineering for a food market that winds through the one hectare design district site. 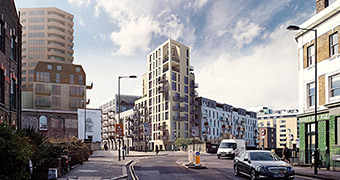 A high-rise residential tower in south London with two glazed facades, and a diverted road passing through it. 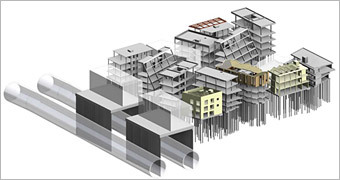 A three-part high-rise residential PRS development that incorporates partial re-use and extension of an existing basement. 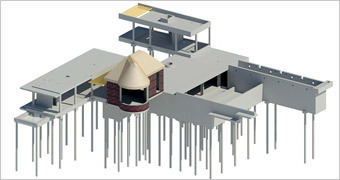 Strategic and structural advice for a Grade II listed theatre in London's West End. 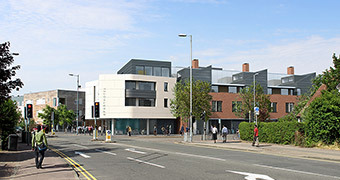 The refurbishment, adaptation and extension of a lower ground floor flat necessitated the support of the four floors above. 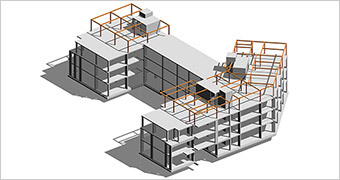 Our structural engineers in London worked on a cross laminated timber six-storey residential building. International design competition for the new DEWA headquarters — the only UK-led team to reach the shortlist.